At Jonathan's Leather Craft, every item is made by hand and skillfully crafted to provide long lasting and durable gear. We take the finest leathers and accoutrements, seamlessly blend them together, to create the highest quality and styled clothing and accessories. Our jewelry is hand crafted in our workshop with the greatest attention to detail. 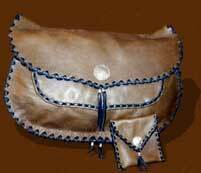 From original designs by Jonathan to custom orders, we provide a full range of leather carting services.